Rogue One: A Star Wars Story star Diego Luna is set to play real-life drug cartel boss Félix Gallardo in the upcoming season of Narcos. Netflix elected to move their drama from the Caribbean to Central America for its third season. With Mexico as a backdrop, Gallardo builds his drug empire on the strength of marijuana, but soon begins to see the profit margins for cocaine. 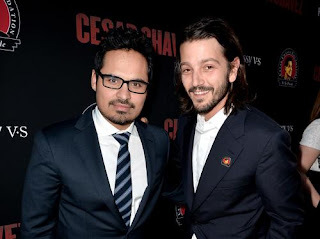 Ant-Man and The Wasp star Michael Pena plays DEA agent Enrique 'Kiki' Camarena, who is brought down to Mexico to take down Gallardo. Félix Gallardo, often referred to as "The Godfather," was the creator and leader of the Guadalajara Cartel in the 80's. His cartel was in control of nearly every drug trade route from Mexico to the US. Camarena is sent by the US Government to infiltrate the cartel, but in the mid-80's, Gallardo discovered that he was an undercover DEA agent and had him kidnapped. After brutally torturing the DEA agent for over a day, Gallardo finally killed him with a power drill to the head. Although the cartel leader was untouchable due to his connections with Mexican politicians, he was arrested several years later and sent to a maximum security prison. Stacey Dash wants it known that she's not involved with "Honor Up." Kanye West and Dame Dash helmed film Honor Up. The announcement came from Dame's Instagram account with the film's poster, telling fans the film will drop in February. A standout cast member on the poster is Dame's cousin Stacey Dash and she's not happy about it. BET reports that Stacey has filed a lawsuit against the team to remove all evidence of her name and photo from the poster and any further promotion. The actress, who publicly stated how we do not need BET or Black History Month, shared a statement via Twitter apologizing for her cousin using her "family relationship to advertise his movie." Read her full tweet below. Damon has yet to respond but we'll keep you guys posted on what happens next. AFTER nine years and 17 movies in the making, Marvel has finally dropped the trailer for the mega studio’s most anticipated superhero team-up, Avengers: Infinity War. 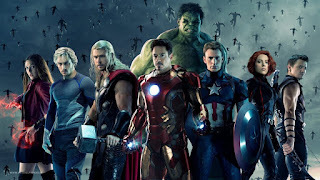 The first two Avengers movies were epic but this is, like, super epic, nay, epically epic. 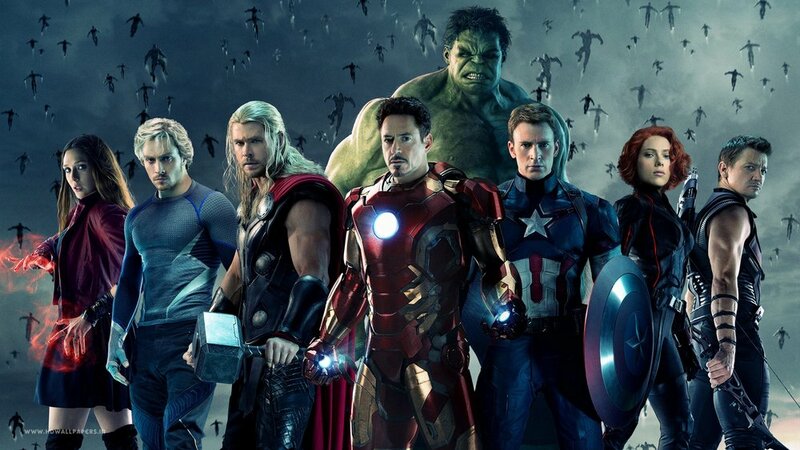 Since the second Avengers movie, more heroes have crowded into the Marvel Cinematic Universe and next year’s release promises to be a ridiculously big extravaganza. Not to mention the “Infinity Stones” — essentially plot MacGuffins — that have been threaded throughout Marvel movies for years will finally mean something! The gang’s all here for the trailer — Iron Man, Black Widow, Scarlet Witch, Captain America, Thor, the Guardians of the Galaxy, Spider-Man, Black Panther, Winter Soldier, Vision, Falcon, Doctor Strange, Hulk, War Machine, Wong and Loki. Not present in the trailer were Ant-Man (who knows, maybe he was in the frame but just really, really small) and Hawkeye. This seems to be a different trailer to the one San Diego Comic-Con audiences exclusively got a sneak peek of earlier this year. We’ll let you revel in the magnificence of this trailer — yes, we’re fanboying out, maybe just a little, and we won’t apologise for it. — Loki holding the Tesseract, last seen in Odin’s chamber on Asgard as Ragnarok was going down — it was assumed Loki had taken it with him in the escape. — Cap has a beard and it’s totally working for him. — Hulk back on Earth in New York City even though Thor is still in space. — Cap, Black Widow, Winter Soldier (no longer in cryo), Hulk and War Machine teaming up with Black Panther in what looks to be Wakanda. — Hulk and Black Widow’s reunion! — A blink-and-you’ll-miss-it glimpse of the Black Order, Thanos’ cronies. — Vision’s Infinity Stone being forcibly removed from his head, we later see Paul Bettany’s human visage but his forehead is still glory so it’s not clear if this is before and after the removal. — Peter Parker’s spidey-sense tingling for the first time. — Spider-Man getting slammed into the ground by Thanos. — Thanos wearing the Gauntlet with two stones — the Power Stone and the Space Stone — already attached. Looks like the Nova Corps didn’t do such a good job of protecting the purple-hued gem from the purple-hued villain. Avengers: Infinity War is in cinemas on April 25, 2018.